Bringing you another chapter in the life of our protagonist April Shiface, told through random screen shots, as she traverses the post-apocalytic wastelands to… do stuff. Mostly killing and collecting loot. Oh, and to find her father. This one you’ll need to blow up to see, and even then it’s hard to see what the heck was going on. Heck, it’s hard for me to even properly describe it. So I trigger this random event where a group of Raiders – the street thugs of the wastelands – come a-running, one of them carrying a missile launcher. I’m not sure if they were chasing someone or not, or if they’d spotted me, or what exactly they were doing. But the one with the missile launcher fires a rocket, and hits a car that’s right by them. The car explodes, they all die, and one of the parts of the car seem to be spinning wildly about in the air, its edges shrinking and growing, looking like some sort of geometrical structure gone amok. It goes higher and higher, and, I think, eventually disappears. 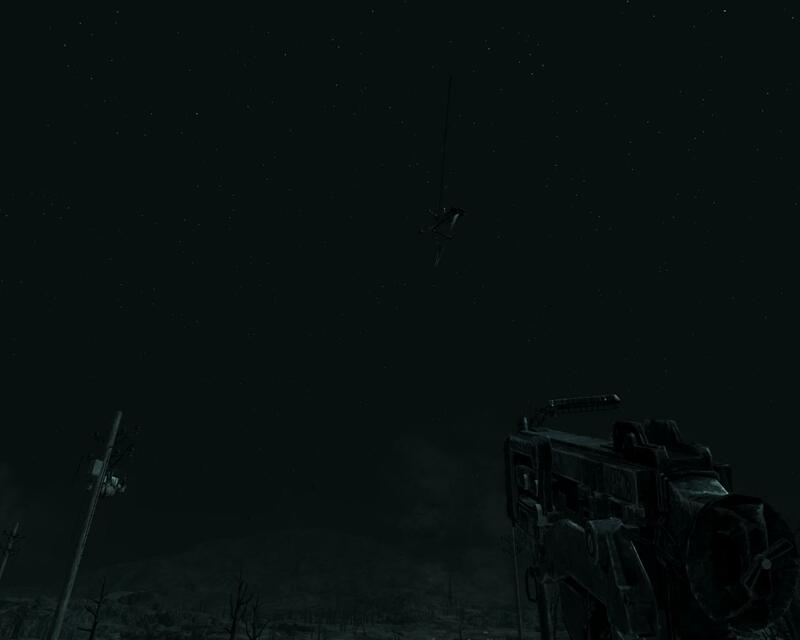 So the above screen shot is what I managed to capture of the glitch, the result of Raiders idiocy. Allow me to give you a head… wait, should it be a hand? Anyway, your head’s just been severed from your body so you’re in no position to correct my bad attempts at decapitation puns. 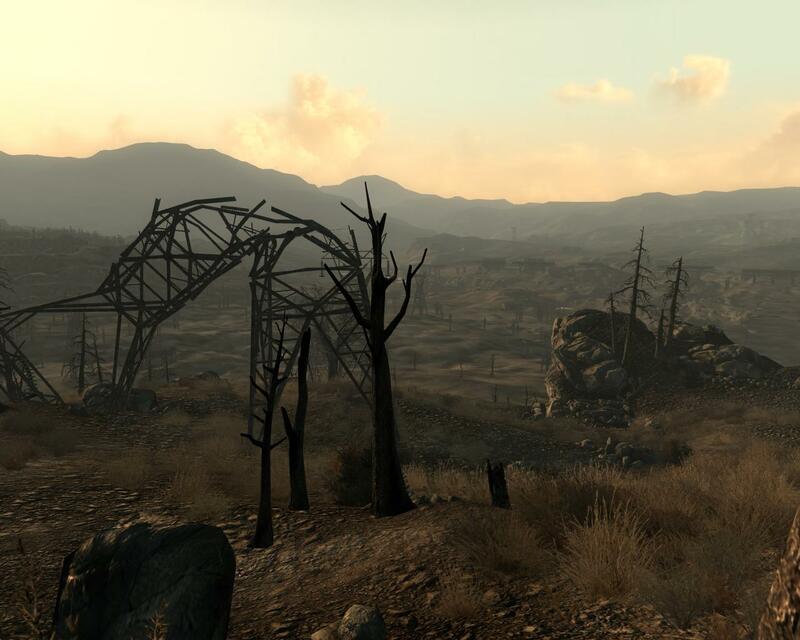 Leaving you now with a couple of scenic shots from the post-apocalyptic wastelands. Beauty still exists, even if most life forms have been eradicated or hideously mutated. 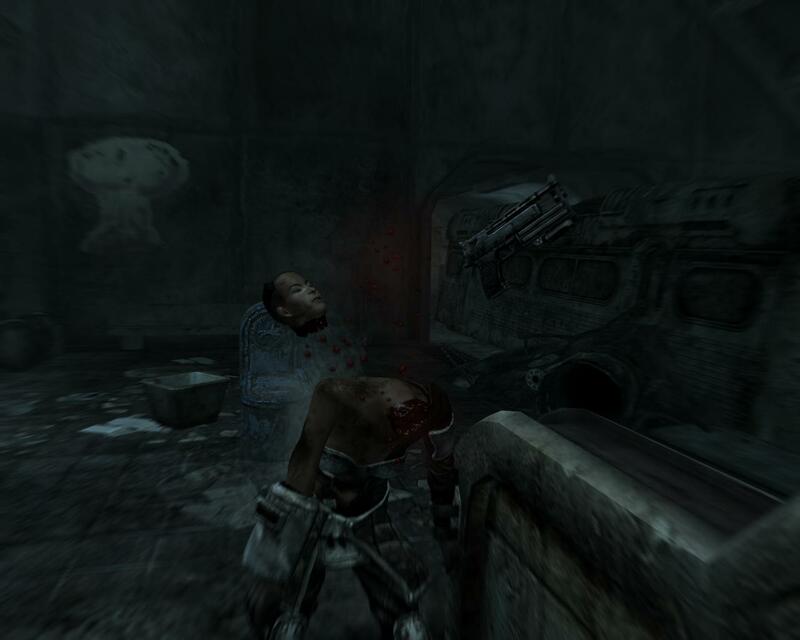 This entry was posted in games and tagged april shitface, fallout 3. Bookmark the permalink. Excellent post! 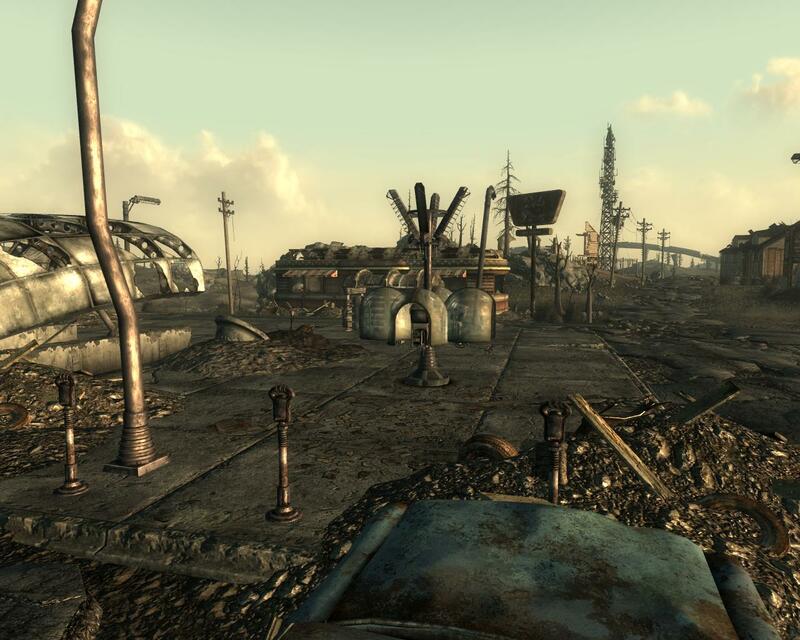 Fallout 3 is one of my most favorite games (next to, of course, Fallout New Vegas xD)!